Here is my September UFO finished! This quilt is 94x94 so had to take the picture on the floor. This one is the next up to be quilted and binded to go on my bed. It is hard to believe that I have now completed 8 of 9 UFO's. Next up for October is #5-Ruby Slippers. Check out all the other finishes at Patchwork Times. That looks like a lot of blocks! 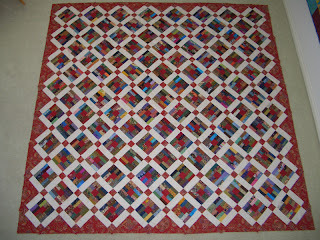 Great finish and for where I live, great timing for another quilt for on the bed, too. Wow -- that's a lot of blocks!! It looks wonderful! I like this scrappy block. I have never seen it before, that I can recall. 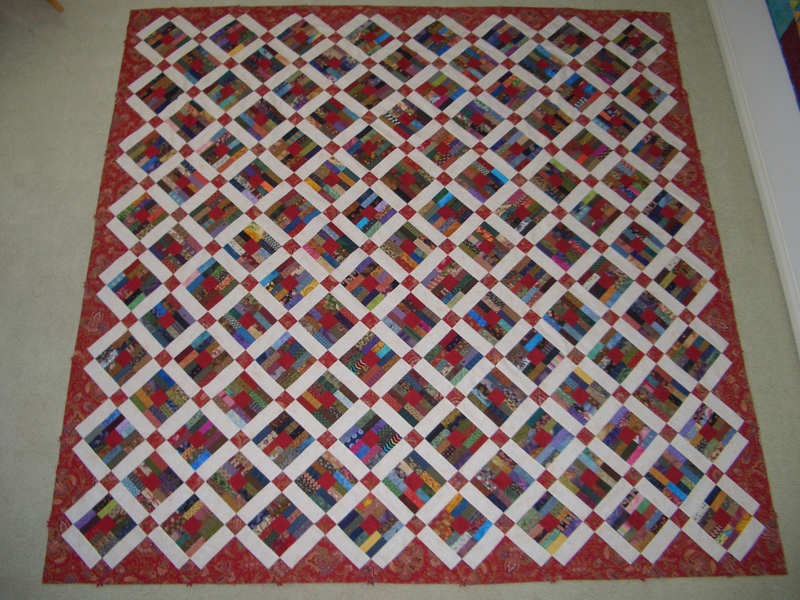 Beautiful scrap quilt! Congrats on a lovely finish! How fun that it is going to be for YOUR bed. My bed is jealous! Wow...that is gorgeous! Wonderful finish! I really like how the quilt turned out, very nice. So beautiful! That will look great on your bed, and nothing like a cozy new quilt this time of year. Congratulations on a great finish!